About Us | Ellwood-McRorie Ltd.
With 55 years in the industry, Ellwood-McRorie Ltd. is experienced in new construction, renovations, and all kinds of concrete work. Ellwood-McRorie is Primarily a General Contractor, but has also provided sub-contractor services on large projects in the community such as the new Walmart, Sobey's and Portage Co-op Food Store. We also provide Maintenance Contract services for Commercial and Government organizations in Portage and area. Ellwood-McRorie is a longstanding member of the Portage Chamber of Commerce, Construction Association of Rural Manitoba (CARM), and became COR Certified in 2006. 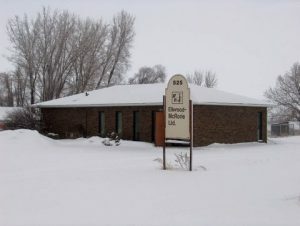 Ellwood-McRorie Ltd. was found in 1963 when two local contractors, Glen Ellwood and Bryce McRorie, joined forces to enable themselves to bid on larger projects. 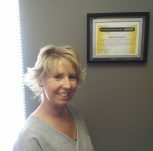 The partnership was successful, and they were responsible for many projects in Portage La Prairie and surrounding area. In 1984 Craig Matthews, who had started with the company as an apprentice, took over Glen Ellwood's shares when Glen retired. In 2001 Darren Gourley, who had also started as an apprentice carpenter with the firm, took over Bryce McRorie's shares in the company as Bryce retired. Craig and Darren continued to have a successful partnership until 2014 when Craig retired and Darren became sole owner and President of Ellwood-McRorie Ltd.
Ellwood-McRorie has a dedicated Construction Safety Officer, and became COR Certified in 2006. Being recognized as a Safety Leader in the industry, we share best practices and provide training to industry partners seeking COR Certification and First Aid training. Since 1963 Ellwood-McRorie Ltd. has been a proud corporate citizen of the Portage La Prairie community, supporting local programs and initiatives such as the new PCU Community Centre (now Stride Place), The United Way, Minor Hockey, Portage Golf Club, Meyers Norris Penny Curling Classic, Portage Hospital Foundation, and The Lions and Lioness charity auction.